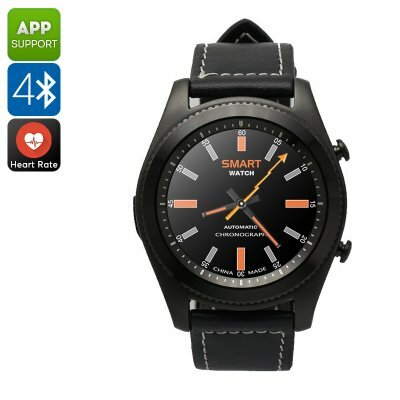 Successfully Added No.1 S9 Smart Watch - Bluetooth, Call Answer, Pedometer, Heart Rate, Sedentary Reminder, 380mAh (Black) to your Shopping Cart. The S9 smart watch has a 1.3 inch IPS display that brings 240x240 resolutions. With its fashionable design and luxurious styling. Its wide wristband makes if comfortable to wear and the light weight build ensures you'll hardly notice it is there. With Bluetooth support, you can sync the smartwatch to your Android or iOS device and enjoy push notifications as well as remote call answering. This means you can keep you phone safely in your pocket or bag and answer calls. You will also be able to see missed calls or new messages without having to get your phone out, perfect for keeping you updated in meetings or when you have to be discreet. The No.1 S9 smart watch is powered by an MTK2502C Chipset and has a built-in 380mAh battery which brings around 3 days of standby and can be recharged in just a couple of hours. It has a heart rate monitor and pedometer helping you lead a leatherier lifestyle. If you like snapping selfies then the remote camera function will help you get more in your shot without having to have a selfie stick or a reach like Stretch Armstrong. This smart watch comes with 12 months warranty, brought to you by the leader in electronic devices as well as wholesale Bluetooth watches and cool gadgets..